Interjection. Used in celebration or enthusiasm. 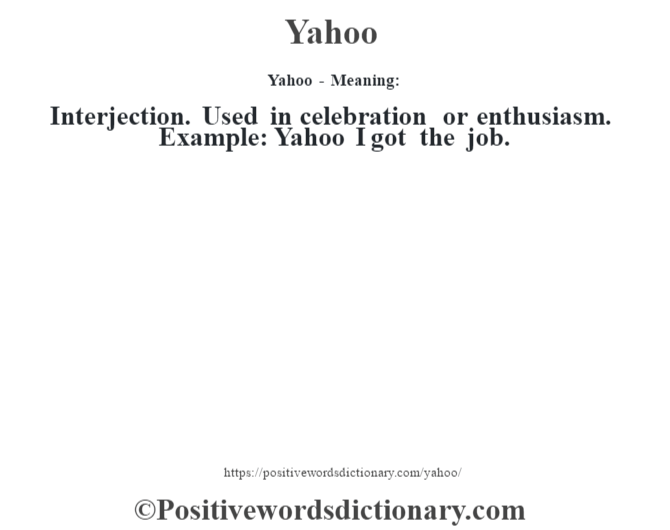 Example: Yahoo I got the job.